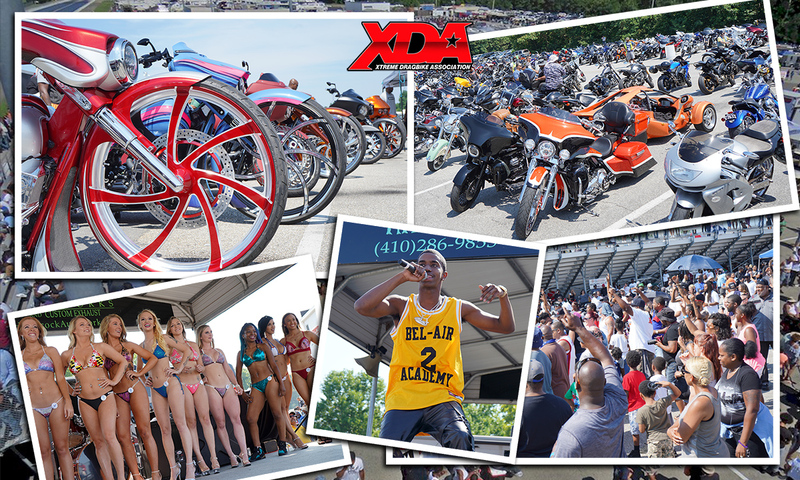 The volume was turned up at this event with Live music featuring new artist King Combs, a Baggers vs Slingshot Sound Off, custom bike show, sound competition, and bikini contest. 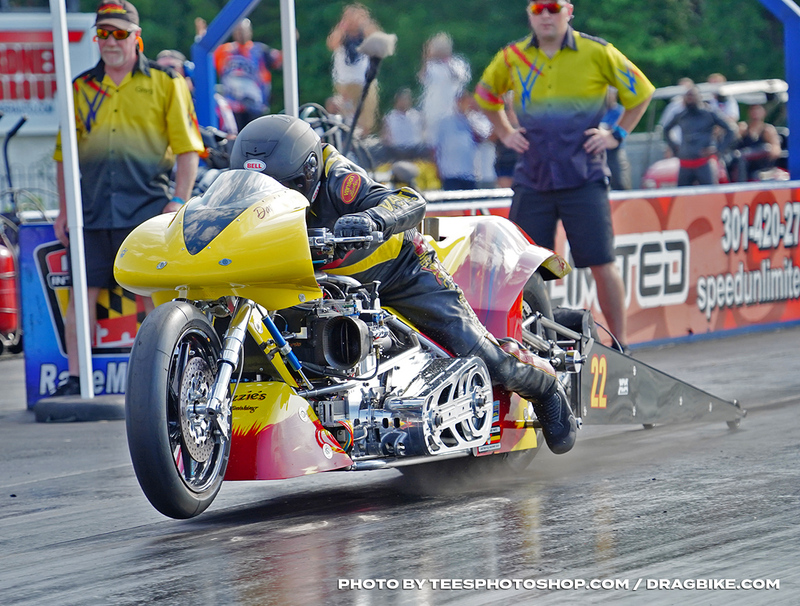 And if that was enough ground shaking for you, Top Fuel hit the drag strip putting down their own beats. 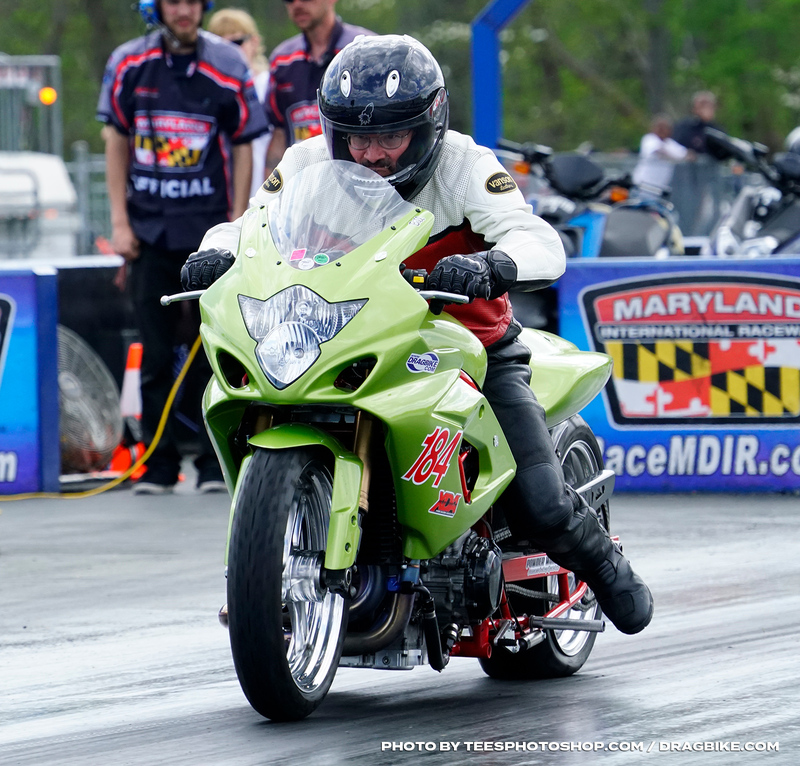 Top Fuel match racing returned for the fifth year in a row, Larry ‘Spiderman’ McBride and Dave Vantine both took threes wins out of four matches. 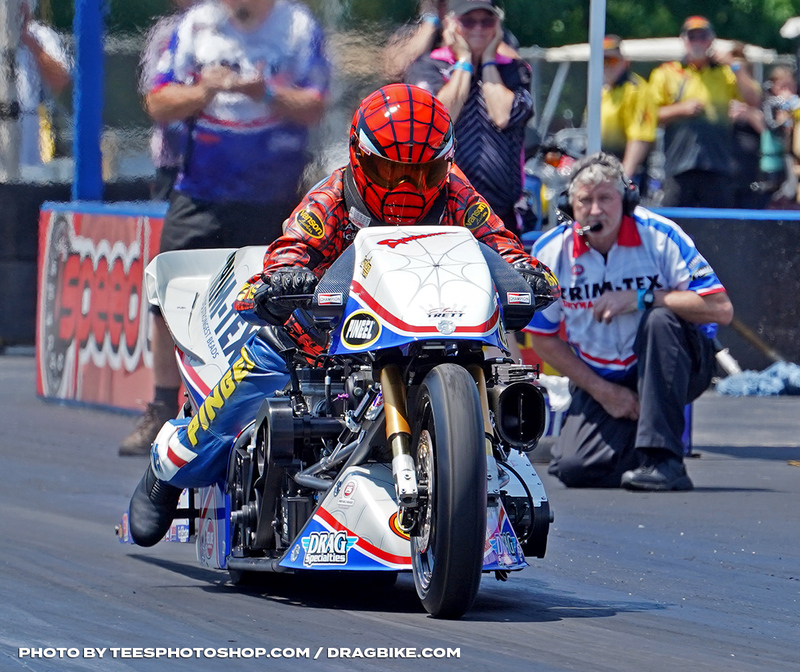 But it was the Spiderman that put on the best overall show running at 5.76 and a 5.87 at 250mph to leave the crowd wanting more. Darion Payne and Tom Ivy made their first six second passes this weekend running 6.835 and 6.907 respectively in qualifying. Darion Payne would make it to the semi-finals to be taken out by the Williford machine. 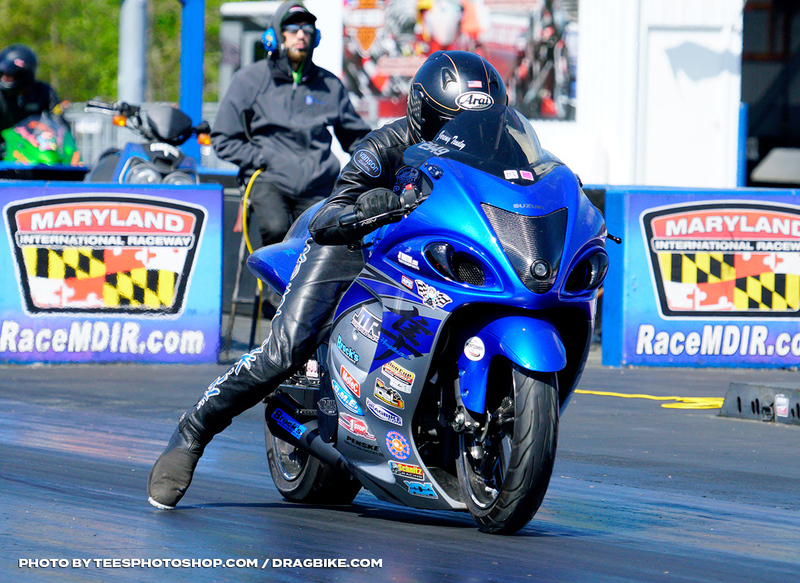 This event also featured our first Penske Racing Shocks Pro Street Shootout during qualifying. Eight racers put up $250 for a chance to win $2,000 and $250 for runner-up. With only one qualifying round the night before these racers were paired up in the lanes by a random card drawing to create an eight-bike ladder. Mark Gargiulo, Rodney Williford, and Chris Connelly would take first-round wins to make it a DME vs. Williford Semi-Final. 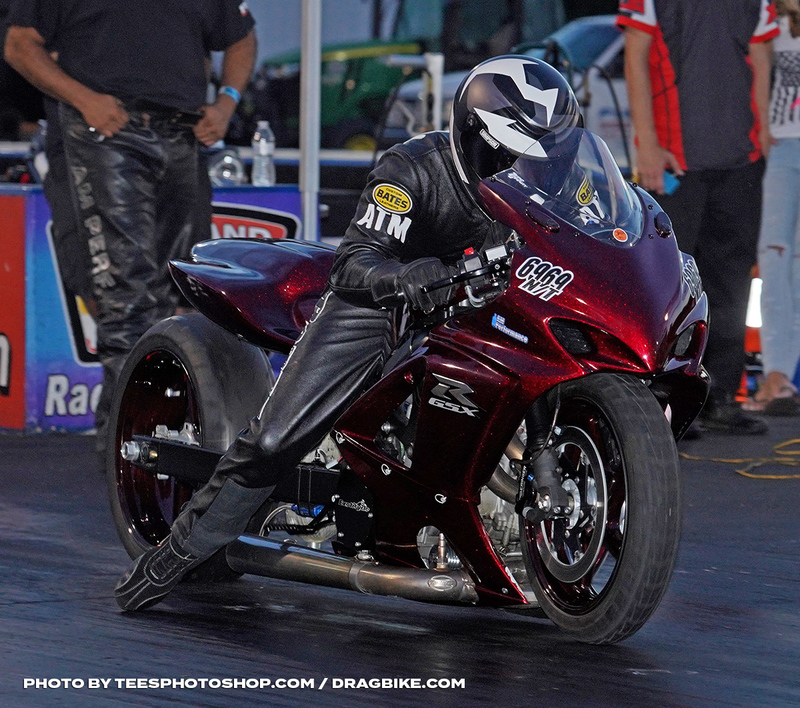 Teasley got the holeshot on Gargiulo, but Mark didn’t have the steam to catch Teasley’s 6.76. On the other side, Williford and Connelly had identical reaction times, but there was nothing Connelly could do against Williford’s 6.61 tune-up! With Teasley running a 6.76 and Williford a 6.61, they went into the final with Williford as the favorite for the win. 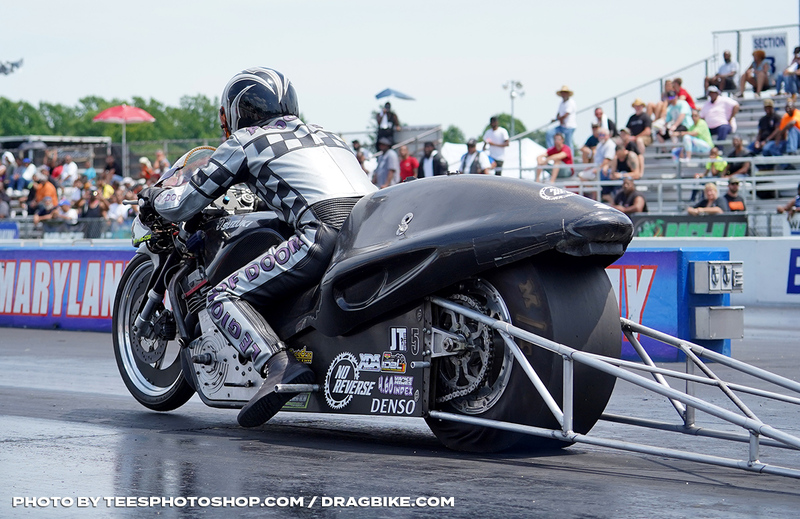 And you could hear the upsets from the other side of the track over in the betting area as Teasley cut a better light and then Williford couldn’t keep the front wheel down through his pass running a 6.76 to give the win to Teasley’s 6.73. 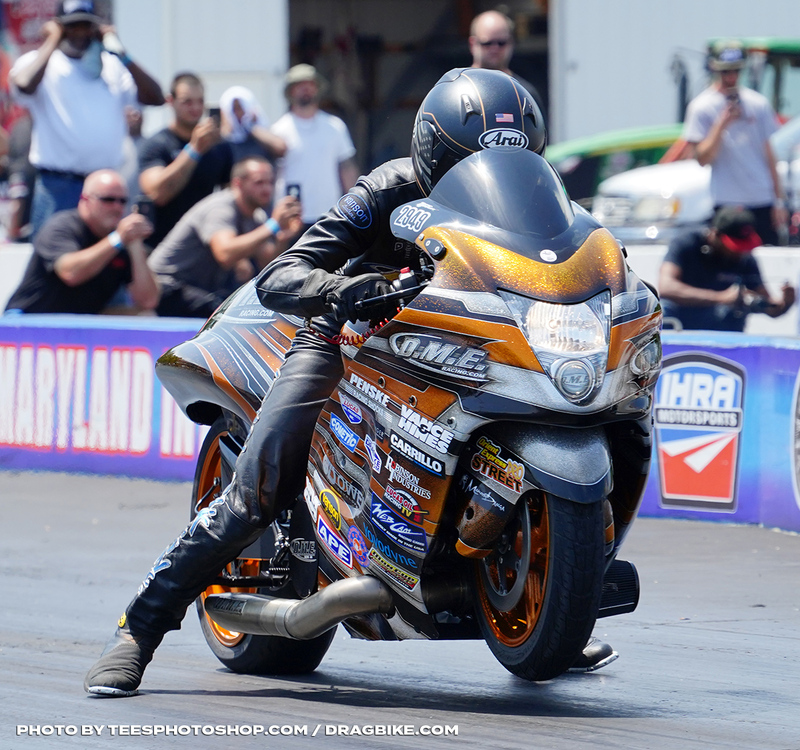 The Penske Racing Shocks Pro Street Shootout will run again next month at VMP for the Superbike Showdown. Now on to Sunday for the main show of the weekend. Shootout winner Jeremy Teasley would fall in round two to Jake Dugan’s 7.05 pass. Darion Payne would take out Jordan Haase in round two only to have his teammate Williford send him to the trailer in the semi-final. 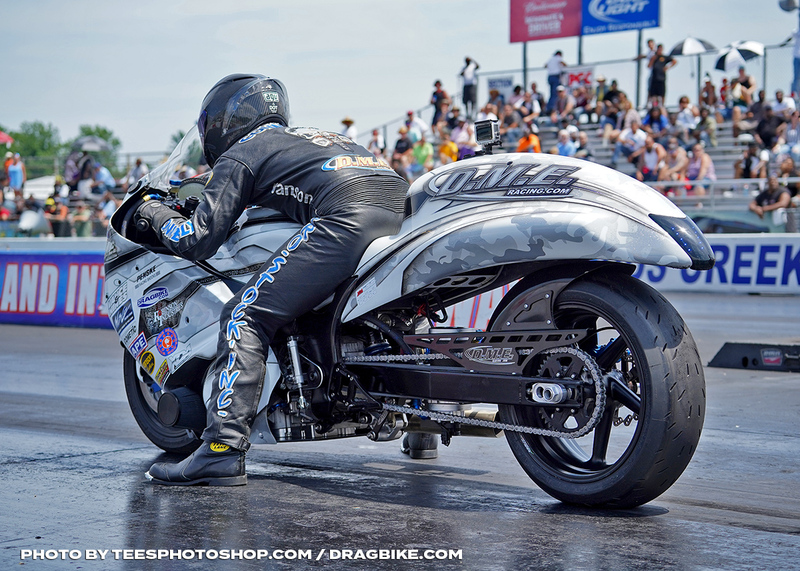 DME Racing’s Hot Shot Chris Connelly kept his head down and focused as he won every round to make it to the final. 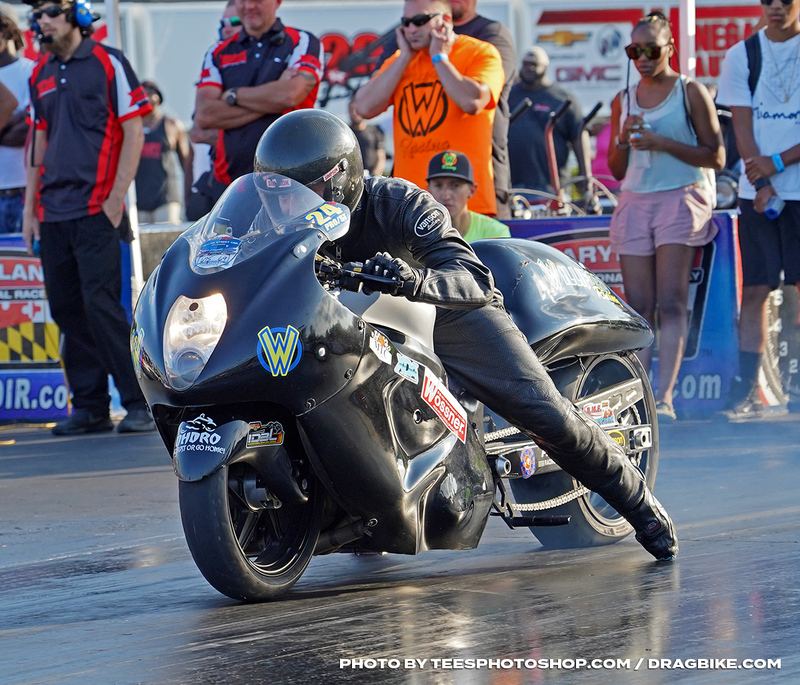 Rodney Williford on his record-breaking Pro Street bike would slaughter every competitor on his way to the final looking for redemption after the runner-up in the shootout. So now we were back to another Williford vs. DME standoff in the final. Both bikes left hard and fast as they stayed side-by-side down the track, while both racers would struggle to keep their front wheels down, it was Connelly who was able to maintain the gap in front of Williford to take his second win of the year, taking out another heavy hitter of the class. 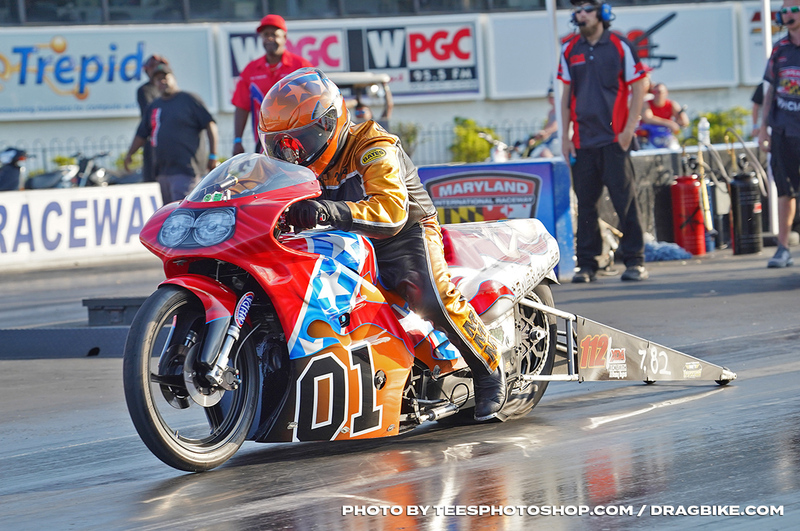 This win now sends Connelly to the points lead of Orient Express Pro Street. 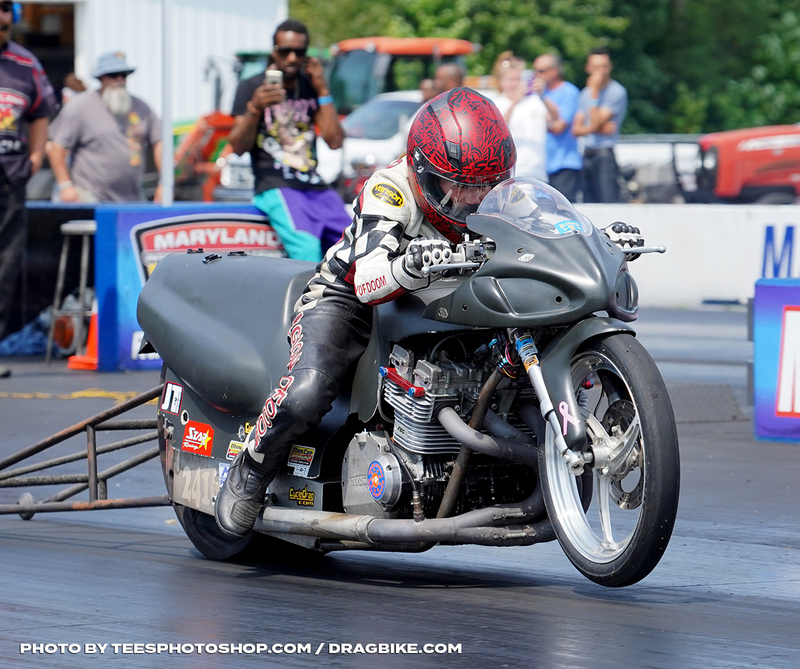 The HTP Performance Grudge class produced the biggest turnout of the year at WPGC Bike Fest with a total of seventy-one entries. Miss Bud Light Lime moderated the class and pulled a few races together on Saturday night to entertain the fans. 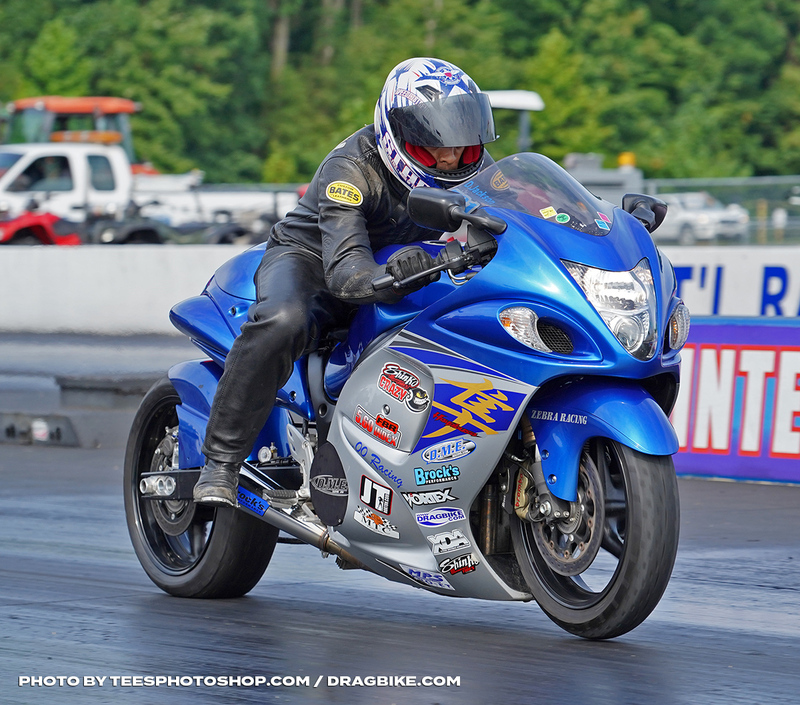 Four riders entered to run the ‘Small Man Street Tire Shootout’ eighth-mile race. In round one Jeremy Teasley on ‘Grinch’ took out Gabe Oldfield on ‘Diavolo’, they were evenly matched off the tree, but ‘Grinch’ had the power to get the win light turned on. 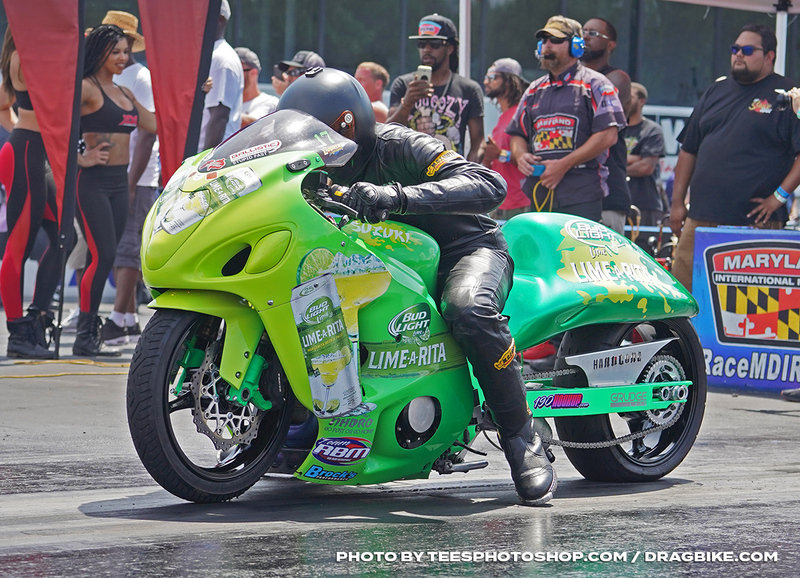 In the next pair, Stewart ‘Lil Pluck’ Northan on ‘Bad Situation’ lost to Jamaruis Crawford on ‘Bud Light Lime-A-Rita’ after he lost fire as he was staged, Northan restarted his bike, but it was too late for him to catch Crawford. In round two the ‘Grinch’ squeezed all the Lime out of Crawford off the tree to take to take the juice out of his pass as Teasley powered to a win. 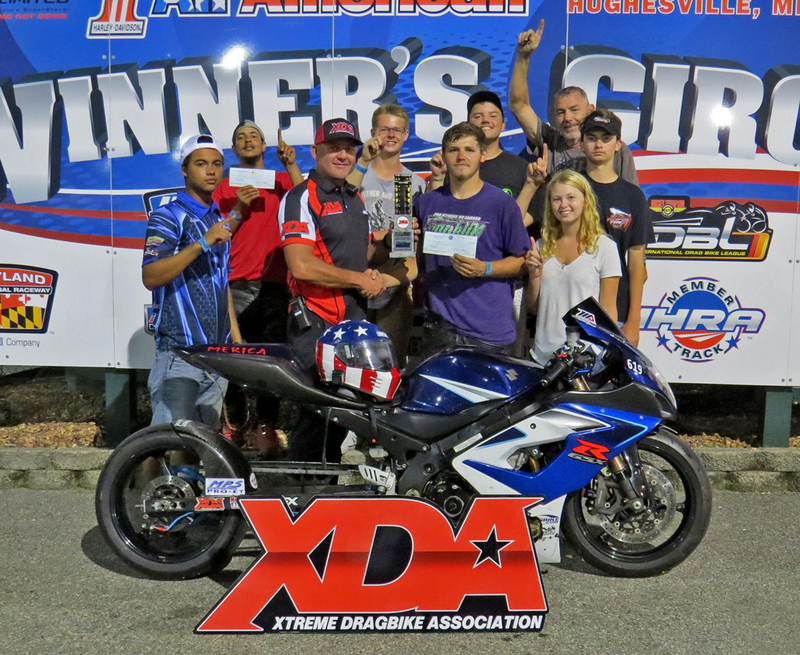 Did we mention Teasley took this win on a hand clutch? 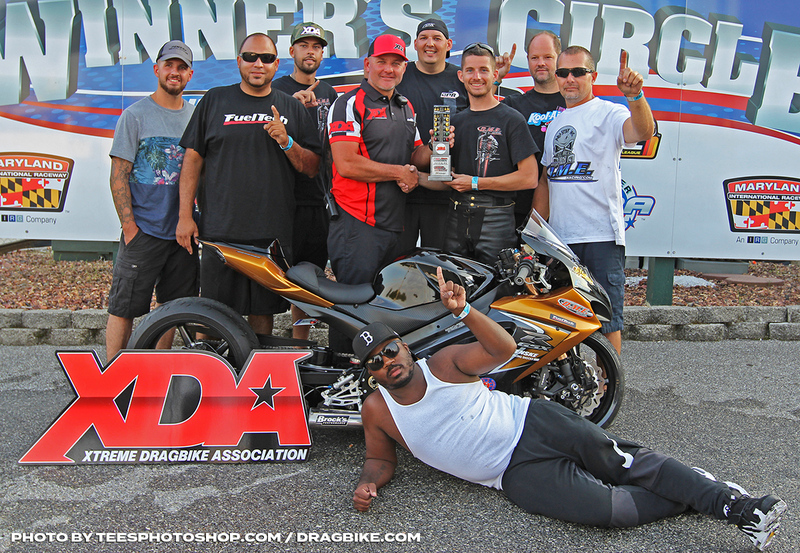 There was a lot of fast grudge passes, some of the standouts were Richard Gadson flying on ‘Super Freak’ and Darion ‘Nanu’ Payne taking a win on a Harley Grudge race. ‘Running of the Bulls’ returns next month to HTP Performance Grudge. 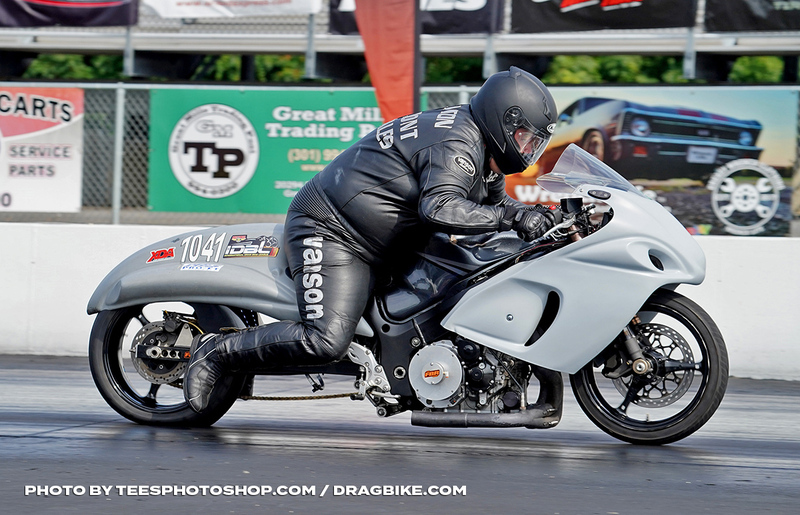 The Vance & Hines 4.60 blew up at Bike Fest with its first full 32 bike field in history! With thirty three racers showing up to race, Ed Murphy had the bad luck of getting bumped out of the field with a 4.594 qualifier. 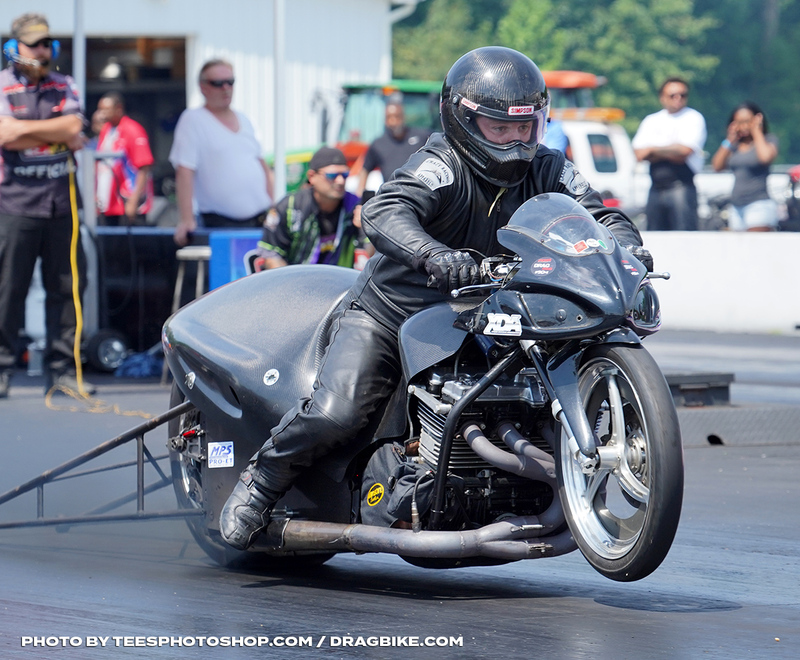 Richard Gadson was the number one qualifier with a 4.601, but Robert Hunnicutt, Ron Bonitatis, Terry Tompkins, and Ronald Procopio were hot on his heels with 4.60’s qualifying numbers as well. 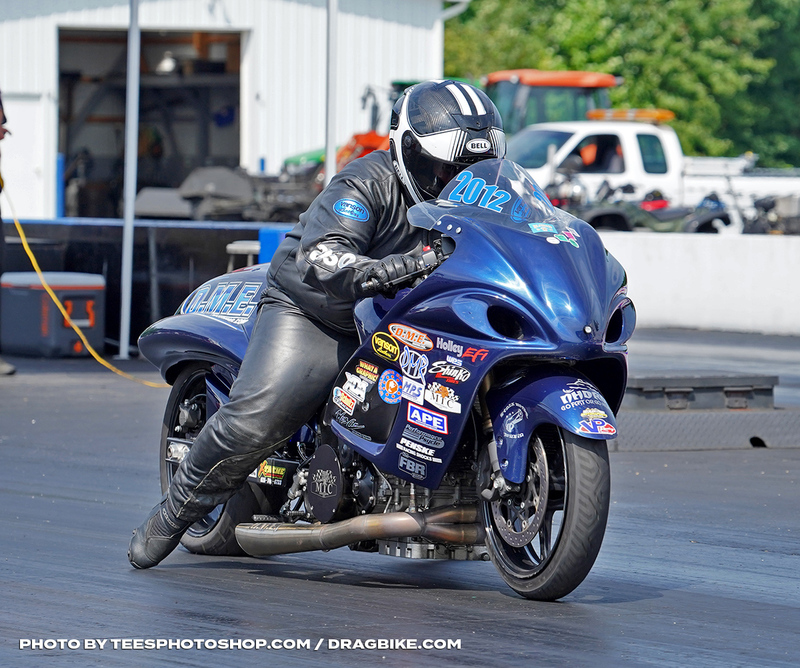 In eliminations, Mike Chongris put the voodoo on his competitors as they were falling to red lights at the thought of Chongris in the other lane. Wilson Burkhead was the only competitor that did not fall under his red-light spell, so Chongris put the tree on him to make it to the final to go head to head with Wes Hawkins. And despite Chongris taking a nice holeshot on Hawkins, it was Wes’s weekend to win as he powered his way to victory with a 4.604. Wes and his team worked all week to get his bike ready in time for the weekend with boring cases on Tuesday, putting the motor back together on Wednesday and then putting it back into the bike on Thursday. This was a well-deserved win for the Hawkin’s team. 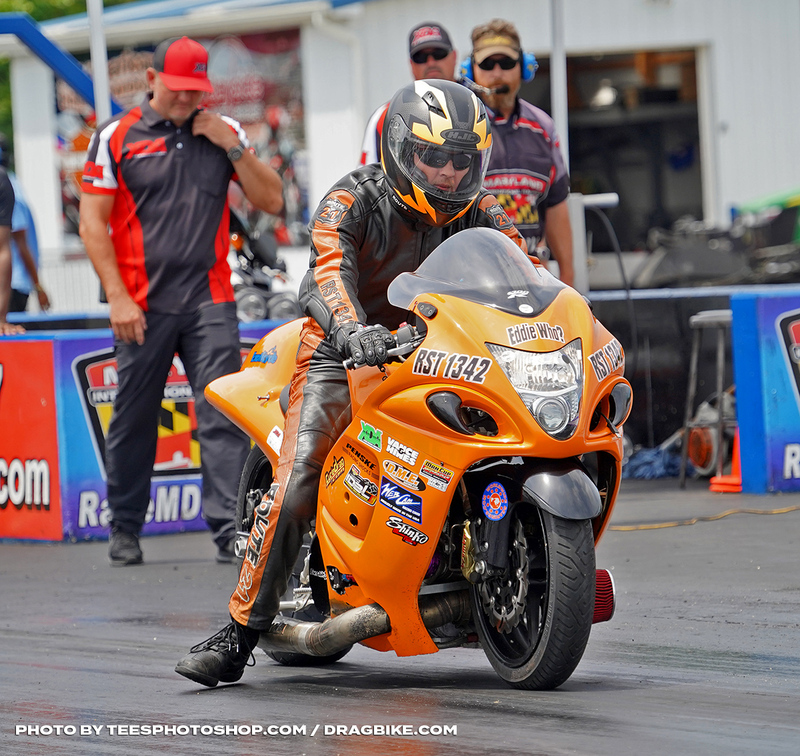 Ryan Bonitatis qualified number one for his third straight event, not only that, Jay Windsor would hold the number two qualifying spot for the third consecutive event as well. Both riders would win rounds, but neither would make it to the final. The Mickey Thompson Tires Top Sportsman stand out of the weekend was Mac McAdams who would take the win in the final against James Farmer. Both riders cut close lights for a close side-by-side race until they got to the stripe and McAdams would back off the throttle at the right moment to ensure he took the stripe without breaking out. In Sunday competition two heavy hitters would fall in round one of competition but then take advantage of XDA’s first round re-entry to make it back to the top and meet in the final round. Boo Brown and Dustin Lee would both go on to win six rounds until their Suzuki’s had to face-off. Lee cut the better light, but that didn’t come into play as problems for Brown at the sixty-foot mark would send Lee to the winner’s circle.